Error reading mnuFile->Caption: System Error. Code 127. I found the problem. 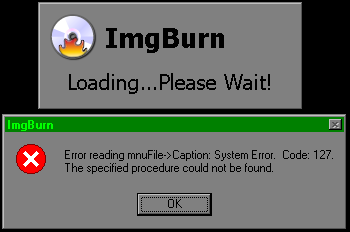 It's not a bug in ImgBurn. There is an incompatibility with some other software I have installed.